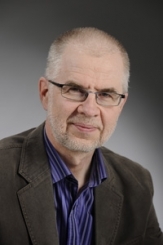 Veikko Seppänen defended his dissertation in Technology in 1990, in Economic Sciences in 2001 and in Legal Sciences in 2014. He has been affiliated with VTT Technical Research Centre of Finland and Elektrobit Corporation (at present Bittium Plc). From 2000 onwards he has been a software business professor at the University of Oulu, having a part-time post since 2002. He has been the director of Martti Ahtisaari Institute since 2010. In 2016 he was appointed a professor of digital business at Oulu Business School. Seppänen has taken part in and been responsible for many domestic and international research and development projects and published over 150 scientific, professional and other publications. His research interests include digital businesses and business environments, as well as business realtionships and networks and their governance. In regard to the emergence of new innovation-based enterprises he has been centrally involved in the establishment and development of Business Kitchen, a university-based new business incubator.